Passengers are requested to reach state government helipad on Sahastradhara Road, Dehradun which is the starting and ending point of the yatra. Vehicles are arranged for pick up. Breakfast will be arranged at Kharsali and passengers are supposed to leave their hotel early at Dehradun/Haridwar. Our pilots and ground staff will brief the guest about the entire trip and do’s and don’ts. Upon arrival at Kharsali (The helipad for Yamunotri) passengers are welcomed by our ground staff, who will unload their baggage and carry it to your hotel. Temple is a 6 KMS trek which will be cover by palki. Total journey will take approx. 5 hour 30 min. Generally, passengers will return to hotel by lunch time. After rest, we do visit to Shani Temple which is near to your Hotel. Arrive Harsil. Upon arrival at Harsil helipad, you will be received by our representative who will off load your luggage and take them to your resort Himalayan Nature Resort /Similar which is just 2kms from the helipad. Harsil is one of the most beautiful and picturesque valleys in Uttrakhadnd and also known as mini Switzerland. 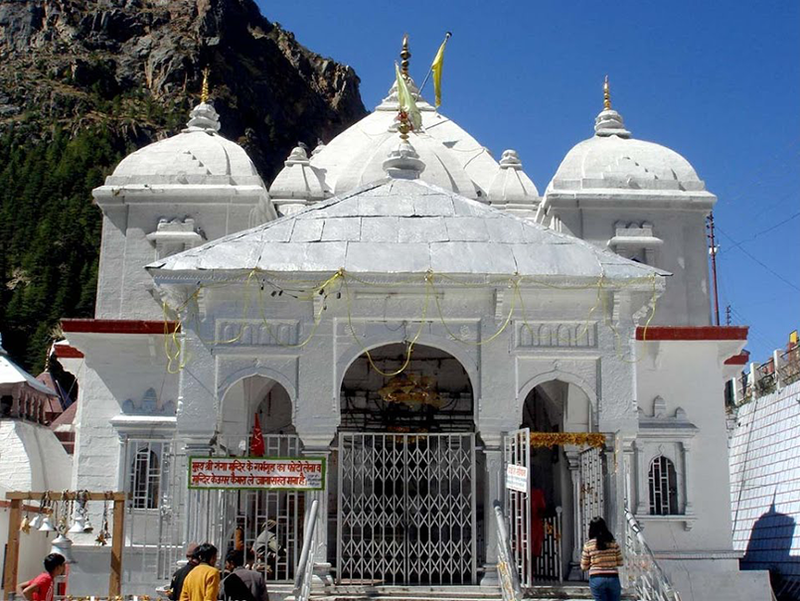 Gangotri temple is approx 24 Kms from Harsil helipad and drive by car is approx. 50 mins. Our ground staff will assist passengers throughout their stay at Harsil. 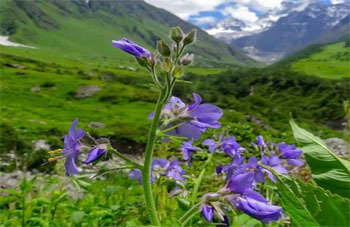 We provide all the basic and leisure facilities for the tourists such as a premium accommodation with en-suite washrooms, delicious vegetarian food, short walks, local sightseeing and an evening bonfire in Gangotri Valley. Kedarnath is flanked by breathtaking snow-capped peaks, making it the most remote site among all four Char Dham sites. We will arrive to phata helipad from Gangotri, here after changing the chopper we will fly for KEDARNATH Helipad. Temple is appro x. 500 meters away from helipad and will take approx. 15 min to reach. Kedarnath doesn’t have night halt facility, once the Darshan is completed, We will return to Guptkashi and stay is arranged at Guptkashi / Sitapur. 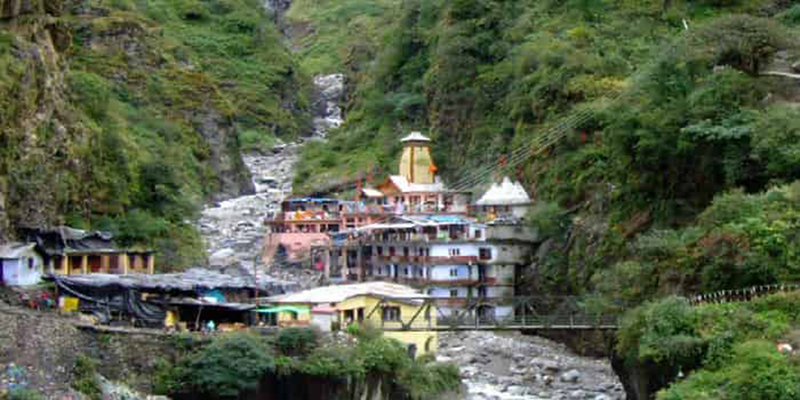 Passengers can visit ancient Triyuginarayan or Kalimath Mandir in the evening. Acording to legend Shankara discovered a black stone image of Lord Badirnarayan made of Saligram stone in the Alaknanda River. After arrival, passengers can check in to Hotel Sarovar Portico which is close to temple. In evening, We do Visit of mana village which is near to religious site of Badrinath. Leave Badrinath: 0930 AM Arrive DEHRADUN : 1030 AM Dehradun Altitude- 0650 Mts The special Maha Abhishek Pooja is the highlight of this entire yatra. It starts at 0400AM sharp in the morning and last for 2 hours. We have arranged an opportunity for all our guest to sit inside the temple and cherishes the darshan of the Shringar of the deity from close quarters. Maha abhishekh pooja at Badrinath ji. VIP Darshan at all temple.